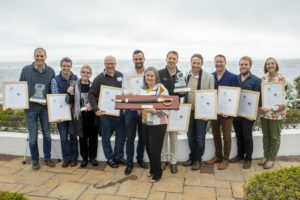 In a repeat performance from 2014, Domaine des Dieux, the boutique wine producer in the Hemel-en-Aarde Valley near Hermanus, was crowned as South Africa’s best Cap Classique exponent at this year’s Amorim Cap Classique Challenge. The Domaine des Dieux Claudia Brut MCC 2012, a blend of Pinot Noir and Chardonnay, won the category for Best Brut Blend as well as Best Producer having achieved the highest score of all the 127 wines entered into this year’s rendition of the Amorim Cap Classique Challenge. The only competition committed exclusively to the Cap Classique category, the Amorim Cap Classique Challenge is sponsored by Portugal-based cork company Amorim. This was the 17th year South Africa’s producers of bottle-fermented sparkling wine took part in this popular competition. Cap Classique pioneer Simonsig Estate from Stellenbosch which celebrates its 50th year as an independent producer this year, dominated the competition’s Rosé Category with the Woolworths Pinot Noir Rosé 2016 (no added sulphur). In the category for Best Blanc de Blancs, Franschhoek fizz whizz Colmant Brut Chardonnay (non-vintage) – no newcomer to this department – took top honours. And in the Museum Class for wines eight years and older, Cap Classique stalwart House of JC le Roux came out tops with its classic Pongracz Desiderius 2009 proving that the sparkles don’t fade as the years pile up. 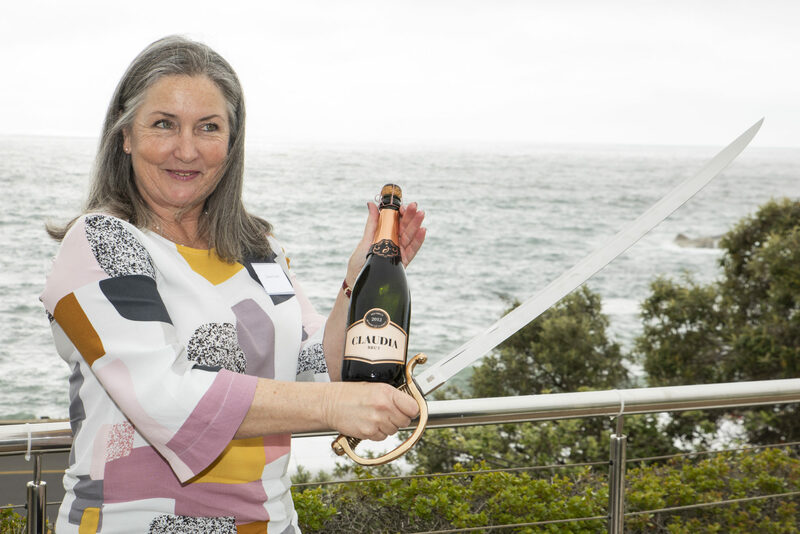 Chairman of the judging panel Heidi Duminy, CWM, said there can be no doubt about Cap Classique being on the rise in all respects. Joaquim Sá, MD of Amorim South Africa said the country’s wine industry can justifiably feel proud of its Cap Classique category. “As a cork producer, Amorim believes that a natural cork adds value to a bottle of wine by endorsing the product with a closure that represents tradition and quality. This is what Cap Classique does for the South African wine industry: it adds value and at a time when there is great pressure on producers to do just that,” said Sá. 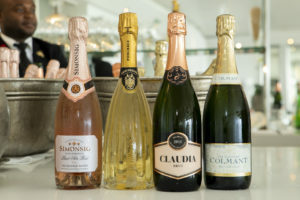 “To have a sector of diverse and expressive Cap Classique sparkling wines to add to the exciting offerings of the South African wine industry is indeed a privilege. Cap Classique is vibrant, it appeals to all wine lovers and the number of exciting producers making this product of exceptional quality is something the wine industry should be immensely proud of. Judging with Duminy were Cathy Marston, wine educator and journalist, sommelier-at-large Higgo Jacobs, Elunda Basson, JC le Roux cellarmaster and Pierre de Klerk from Graham Beck. Farai Magwada, sommelier at Cavalli Estate in Stellenbosch, joined the team as associate judge.